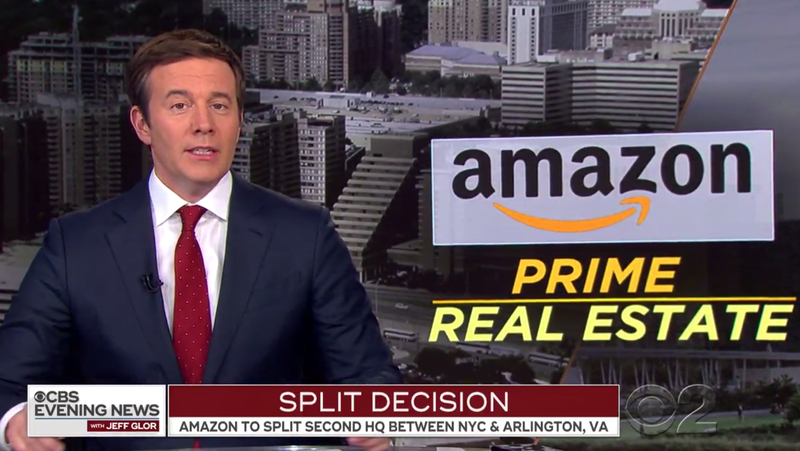 Amazon’s announcement that it would split its so-called “HQ2” between Arlington, Virginia and Long Island City, New York was covered on all three evening newscasts — and the shows’ writers and designers wasted no time pulling out the “prime” and “split decision” references. 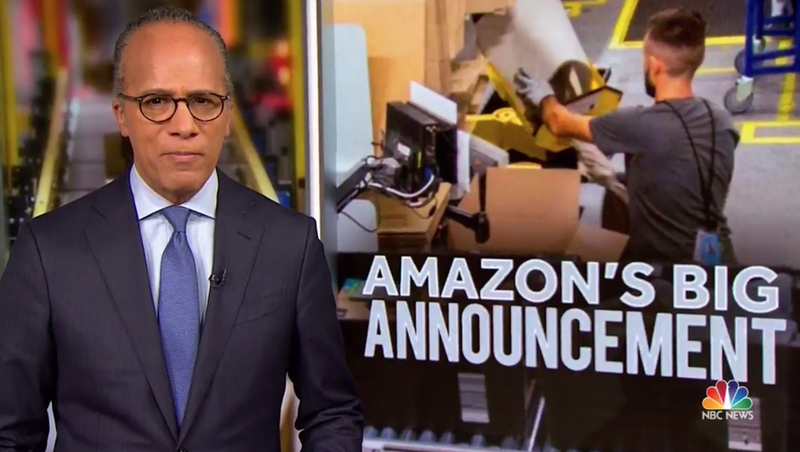 NBC also displayed key numbers and data points in Amazon’s trademark orange — with green accents for dollar signs. 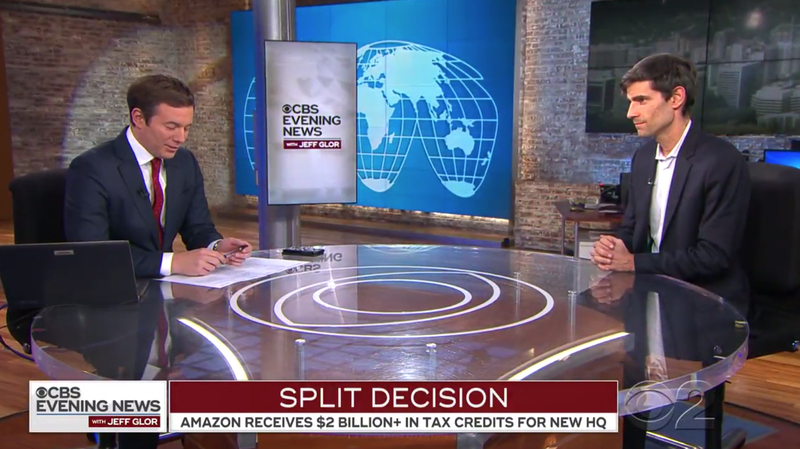 ‘CBS Evening News‘ went with a pun on ‘prime’ — a reference to Amazon’s membership program that offers free shipping, streaming media and other perks, with the video wall behind Jeff Glor reading ‘Prime Real Estate.’ The network stuck with its Ridley Grotesk typeface but opted to set it in italics, just like Amazon has done with previous versions of its ‘Prime’ branding — while also referencing Amazon’s orange with gold and yellow type. 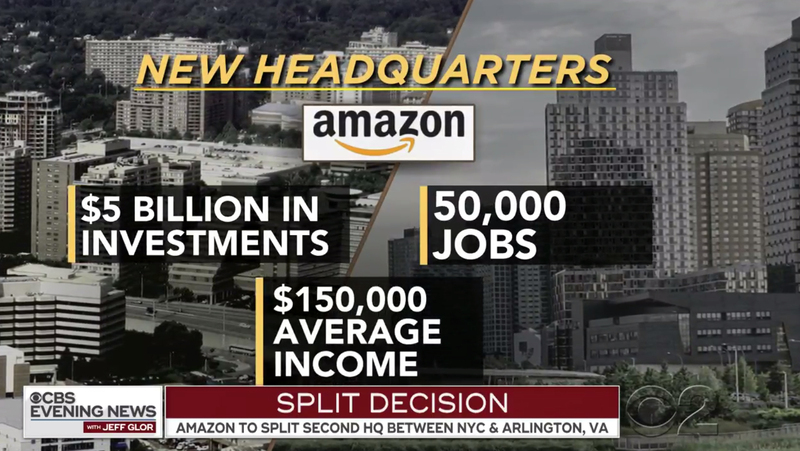 The network also used a ‘Split Decision’ banner during its package, which used graphics with a diagonal line ‘split’ motif to showcase key data. Glor was then joined by CBS business contributor Nicholas Thompson in studio for a brief interview. 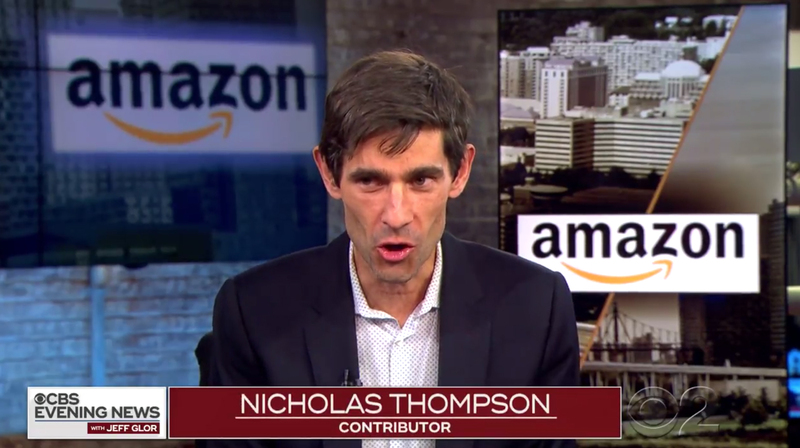 Thompson, who sat at the main anchor desk, had two Amazon logos appear on the various video panels behind him — including an image with the ‘split’ design reference. 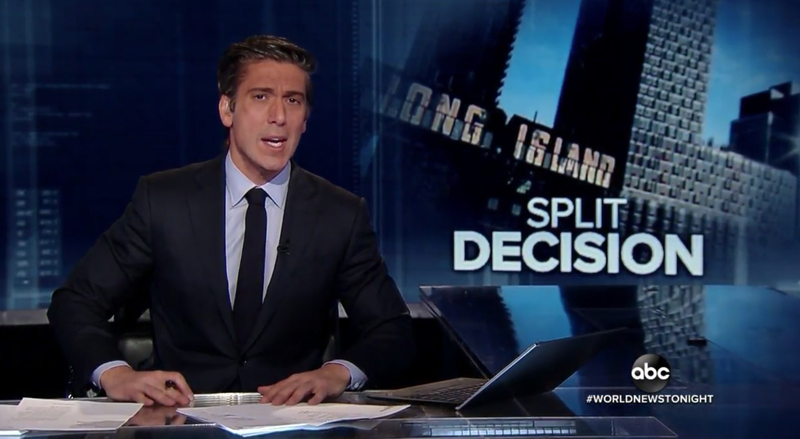 ‘ABC World News Tonight‘ also went with the ‘Split Decision’ title — displayed on the video wall behind anchor David Muir.